This is part 2 of a 3-part series from the 69th Annual Meeting of the American Academy of Neurology in Boston. See also part 1. About 1 out of 5 inherited cases of ALS occur due to mutations in SOD1. How these genetic changes contribute to ALS remains unclear. But according to a growing number of studies, these mutations result in the misfolding and aggregation of this metabolic enzyme, contributing to motor neuron toxicity by multiple mechanisms (see Taylor et al., 2016). A growing number of researchers are developing potential treatment strategies that aim to reduce levels of mutant SOD1 in the CNS in hopes to slow or stop the progression of the disease. One approach, which involves gene therapy, suppresses expression of the SOD1 gene through RNA silencing-based mechanisms. This strategy, according to a 2016 study led by University of Massachusetts Medical School’s Christian Mueller, can extend the lifespan of pre-onset adult SOD1 mice by up to 20% upon intrathecal injection (Borel et al., 2016). Now, Martine Barkats and Maria Grazia Biferi of the Institute of Myology in Paris, France introduce a new gene therapy approach that increases survival of pre-symptomatic adult SOD1 G93A mice by more than 50%. An independent analysis, led by ALS Therapy Development Institute’s Fernando Vieira and commissioned by Prize4Life, confirmed the team’s results. The Institute of Myology team received the Prize4Life $1.0 million USD Avi Kremer ALS Treatment Prize in recognition of reaching this key milestone. “This is the best efficacy [observed] in a SOD1 mouse,” said Nicole Szlezák, Chairman of Prize4Life’s Board of Directors in the US. Maria Grazia Biferi unveiled the potential treatment strategy on April 25, 2017 at the ALS Association Drug Company Working Group, held during the 69th Annual Meeting of the American Academy of Neurology. The approach builds on a previous strategy developed by Barkats’ team, using a related gene therapy delivery vehicle, for spinal muscular atrophy. A similar strategy, known as ChariSMA (AVXS-101), is now at the phase 1 stage and according to interim phase I results appears promising (see December 2015 news). In 2007, Martine Barkats’ team discovered that the recombinant adeno-associated virus AAV9 could penetrate the blood-brain barrier, opening the door to the development of gene therapies for motor neuron diseases. (see December 2008 news; Duque et al., 2009; Foust et al., 2009). Building on these advances, research teams led by Nationwide Children’s Hospital Brian Kaspar in Ohio and University of Massachusetts Medical Center’s Robert Brown began to develop potential therapies for SOD1 ALS. One of these strategies, being developed by Robert Brown and Christian Mueller at the University of Massachusetts Medical School, uses an artificial microRNA to reduce levels of mutant SOD1 synthesis in the brain and spinal cord. 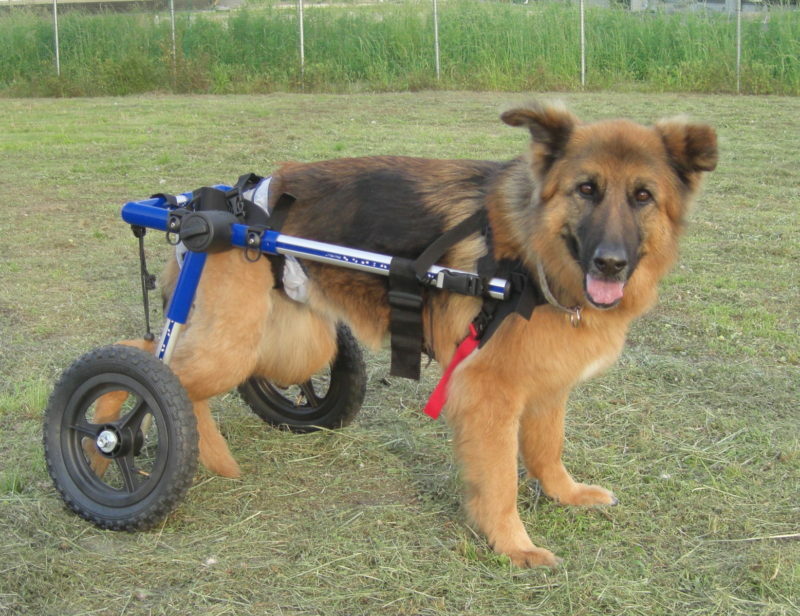 The approach is currently being evaluated at the preclinical stage in dogs with degenerative myelopathy (DM), a naturally occurring form of the disease. The clinical trial, being led by Tufts University School of Medicine’s Dominik Faissler in Massachusetts, launched in December 2016 and is ongoing. The strategy builds in part, on previous studies led by Martine Barkats which found that AAV10 is more efficient than AAV9 in delivering genes into motor neurons in the spinal cord at lower doses, critical in developing a treatment for a disease (Tanguy et al., 2015). The approach, according to studies led by University of California’s Krystof S. Bankiewicz in San Francisco and University of Massachusetts Medical Center’s Christian Mueller can be delivered efficiently intrathecally into motor neurons, at least in non-human primates. Meanwhile, California Institute of Technology’s Ben Deverman and Viviana Gradinaru used Cre-recombination-based AAV targeted evolution (CREATE), to develop novel gene therapy delivery vehicles that penetrate the blood brain barrier, to treat disorders of the central nervous system, including ALS. The vectors, which include AAV-PHP.B, can deliver genes into the motor cortex in the brain and the spinal cord at about 40 times greater efficiency compared to AAV9 upon intravenous injection (Deverman et al., 2016). The delivery approach is now licensed to Cambridge startup Voyager Therapeutics in Massachusetts, which is also developing a gene therapy for SOD1 ALS. Voyager Therapeutics hopes to file an IND for their potential treatment strategy for ALS, known as VY-SOD101, at the end of 2017. A key question is whether SOD1 is needed to reduce free radical levels that arise in key tissues affected by the disease. Therefore, a growing number of research teams are developing “erase and replace” strategies which aim to reduce mutant SOD1 while at the same time, produce the wild-type enzyme to help detoxify key tissues affected by ALS, including the brain, spinal cord and muscles. With the advent of new gene silencing technologies, research teams began to take another look at their gene therapy approaches and began to modify them in hopes to optimize their strategies to combat SOD1-linked disease. Robert Brown turned to CRISPR/Cas9 technologies in hopes to stop further mutant SOD1 synthesis. Their approach, unveiled at AAN 2017, uses imprecise CAS9-based editing to introduce indels in the SOD1 gene. The key obstacle, according to preliminary results presented by University of Massachusetts Medical School’s Zachary Taylor, is delivering sufficient Cas9 to modify the mutant SOD1 gene within motor neurons and glia in the central nervous system. Preclinical studies remain ongoing. Across the globe, Martine Barkats and Maria Grazia Biferi, are developing a strategy using a novel gene silencing AAV10-based approach to tackle SOD1 ALS. The strategy is now being optimized and is at the preclinical stage. The approach involves the injection of the potential therapy into the blood and the brain. 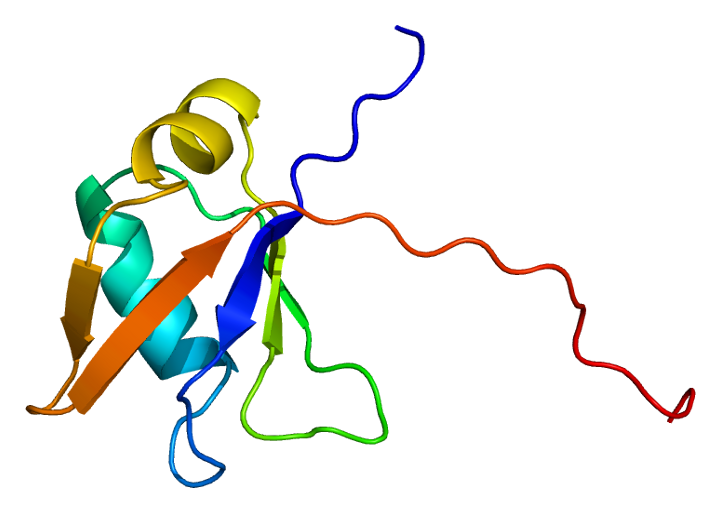 The reason, according to Biferi is to ensure that levels of the misfolded enzyme are reduced in key tissues outside the CNS including skeletal muscle. Now, the researchers are developing a similar strategy to tackle C9orf72 ALS, the most common form of the disease identified to date. Meanwhile, Louisiana State University’s Ronald Klein is setting his sights on helping to develop a gene therapy that targets more than 95% of cases of the disease. The approach, based on previous studies led by Gregory Petsko in New York, now at Weill Cornell Medical College in New York and Sami Barmada, now at the University of Michigan, aims to reduce cytoplasmic TDP43-mediated motor neuron toxicity by turning up nonsense-mediated mRNA decay. The gene therapy-based strategy increases levels of hUPF1, a key regulator of this process (see June 2015 news; Ju et al., 2011; Barmada et al., 2015). The approach, according to a study from Klein’s team, prolongs motor function – at least for 8 weeks in a rat model of the disease. The study found that the potential therapy, when administered at day 1, preserved strength in the forelimbs of a rat model of ALS (see June 2015 news; Jackson et al., 2015). How this strategy may mitigate TDP-43-mediated motor neuron toxicity remains unclear. The approach is one of at least two that aims to target TDP-43 buildup in the cytoplasm of motor neurons (see April 2017 news; Becker et al., 2017). The strategy, now licensed to the New York biotech startup MeiraGTx, is at the preclinical stage. Evaluation of the approach in adult rat models of ALS is ongoing. Borel F, Gernoux G, Cardozo B, Metterville JP, Toro Cabreja GC, Song L, Su Q, Gao GP, Elmallah MK, Brown RH Jr, Mueller C. Therapeutic rAAVrh10 Mediated SOD1 Silencing in Adult SOD1(G93A) Mice and Nonhuman Primates. Hum Gene Ther. 2016 Jan;27(1):19-31. doi: 10.1089/hum.2015.122. [PubMed]. Duque S, Joussemet B, Riviere C, Marais T, Dubreil L, Douar AM, Fyfe J, Moullier P, Colle MA, Barkats M. Intravenous administration of self-complementary AAV9 enables transgene delivery to adult motor neurons. Mol Ther. 2009 Jul;17(7):1187-96. [PubMed]. Foust KD, Nurre E, Montgomery CL, Hernandez A, Chan CM, Kaspar BK. Intravascular AAV9 preferentially targets neonatal neurons and adult astrocytes. Nat Biotechnol. 2009 Jan;27(1):59-65 [PubMed]. Tanguy Y, Biferi MG, Besse A, Astord S, Cohen-Tannoudji M, Marais T, Barkats M. Systemic AAVrh10 provides higher transgene expression than AAV9 in the brain and the spinal cord of neonatal mice. Front Mol Neurosci. 2015 Jul 28;8:36. doi: 10.3389/fnmol.2015.00036. eCollection 2015. [PubMed]. Barmada SJ, Ju S, Arjun A, Batarse A, Archbold HC, Peisach D, Li X, Zhang Y, Tank EM, Qiu H, Huang EJ, Ringe D, Petsko GA, Finkbeiner S. Amelioration of toxicity in neuronal models of amyotrophic lateral sclerosis by hUPF1. Proc Natl Acad Sci U S A. 2015 Jun 23;112(25):7821-6. [PubMed]. Jackson KL, Dayton RD, Orchard EA, Ju S, Ringe D, Petsko GA, Maquat LE, Klein RL. Preservation of forelimb function by UPF1 gene therapy in a rat model of TDP-43-induced motor paralysis. Gene Ther. 2015 Jan;22(1):20-8. [PubMed]. Ju S, Tardiff DF, Han H, Divya K, Zhong Q, Maquat LE, Bosco DA, Hayward LJ, Brown RH Jr, Lindquist S, Ringe D, Petsko GA. A yeast model of FUS/TLS-dependent cytotoxicity. PLoS Biol. 2011 Apr;9(4):e1001052. [PubMed]. Becker LA, Huang B, Bieri G, Ma R, Knowles DA, Jafar-Nejad P, Messing J, Kim HJ, Soriano A, Auburger G, Pulst SM, Taylor JP, Rigo F, Gitler AD. Therapeutic reduction of ataxin-2 extends lifespan and reduces pathology in TDP-43 mice. Nature. 2017 Apr 20;544(7650):367-371. [PubMed]. van Zundert B, Brown RH Jr. Silencing strategies for therapy of SOD1-mediated ALS. Neurosci Lett. 2017 Jan 1;636:32-39. [PubMed]. Tora MS, Keifer OP Jr, Lamanna JJ, Boulis NM. The challenges of developing a gene therapy for amyotrophic lateral sclerosis. Expert Rev Neurother. 2017 Apr;17(4):323-325. [PubMed].